A Starbucks Coffee cafe will replace Espresso Roma Cafe in Price Center, pending a contract negotiation after an 11–4–0 vote Tuesday by the University Centers Advisory Board. 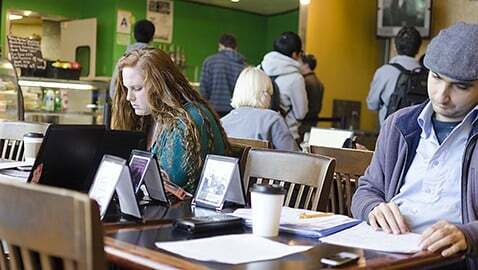 After beating out Java City eco-Grounds in the vote, University Centers began drafting a business plan with the popular coffee chain. UCAB Chair Sammy Chang was not allowed to participate in the vote but said that the addition of Starbucks would bring added revenue to University Centers including Price and the Old Student Center. “I would venture to guess that with the current UCEN budget crisis, Starbucks produces much more revenue for University Centers, and that may be one of the driving forces [behind the vote],” Chang said. The popular coffee chain will donate $5,000 in scholarship funding annually, according to Chang. Some students have expressed concerns over the corporate chain’s addition to Price Center due to reports of unethical practices that violate the mission of UCSD’s Fair Trade Advisory Committee as sponsored by former Chancellor Marye Anne Fox in 2009 and enacted in spring of 2010. The committee agreement ensures all businesses that sell coffee, tea and sugar to be fair trade-approved. On March 3, the committee voted to expand the university’s policy to include products verified by third parties such as C.A.F.E. Practices. According to Krista Mays, chair of the Fair Trade Advisory Committee, both Starbucks and Java City meet the current UCSD fair trade policy. A.S. Council Social Sciences Senator Colin King, who also sits on UCAB, was one of the four dissenting votes. “We believe that equal verifications should be an unbiased third party, and C.A.F.E. Practices is funded by Starbucks,” King said. “The one thing UCAB administrators said to counter that argument is that [C.A.F.E. Practices] teams up with Conservational International which is technically the third party verifier. Although Java City meets the overall fair trade criteria to satisfy UCSD’s agreement, only a portion of the coffee they sell has the proper certification. On Nov. 20, ASUCSD passed a resolution unanimously calling for a stronger enforcement of the UCSD Fair Trade Policy. Associate Vice President of Environmental and Social Justice and Fair Trade Committee member Jillian Du voiced support for the resolution at Tuesday’s UCAB meeting. “We feel that it invalidates a very strong student campaign of five to six years,” Du told the Guardian. “The administration has been pushing its own agenda since last year to favor Starbucks coming in for the profit. We are very disappointed with the UCAB vote, particularly because they had a strong, sustainable option, and they did not give it adequate consideration. According to UCEN Director Sharon Van Bruggen, a 2012 survey of 1,571 respondents (95 percent of which were UCSD students), showed that 71 percent of respondents supported bringing a Starbucks location to campus. A Spring 2013 referendum that would have raised student fees $11 per quarter to help fund close UCEN’s budget deficit and improve and maintain UCEN operations — namely in Price Center and the Old Student Center — was rejected by student voters. As a result, UCEN has struggled financially to maintain its current daily operations. No official date has been set, but remodeling could begin within the next 12 months. Additional reporting by Aleksandra Konstantinovic and Zev Hurwitz. Starbucks coffee tastes awful though.